We combined our knowledge of our genetics, the comprehensive understanding of soil and Weathertrends360's advanced forecast to assign a productivity index to each unique environment. With this enhanced, dynamic knowledge, our recommendations may change from year to year. Next year, you could plant the same hybrid in the same field and get a completely different seeding recommendation. Advantage Acre's recommendations put our hybrids in the precise location in your field that will maximize yield potential. With the challenges you face day-to-day, let us help give you an advantage in your field. Maximize the potential of each seed every season with a comprehensive understanding of the planting environment. Understanding how to maximize your seed's potential begins with genetic knowledge. Ranked among the top five research programs in the United States, AgReliant has access to a global network of facilities that operate year-round, testing and evaluating products. Our team works tirelessly to understand the specific genetic preferences each seed has to soil type, climate, moisture, heat, nitrogen timing, population density and more. Advantage Acre® offers the latest in accurate long-term weather forecasting and advanced functional soil mapping. Now, you have the tools to gain unprecedented insight into your field's characteristics and the factors that affect those characteristics. Linking both field and seed knowledge together allows for more precise seed selection, leading to increased yield potential and maximized profit potential. 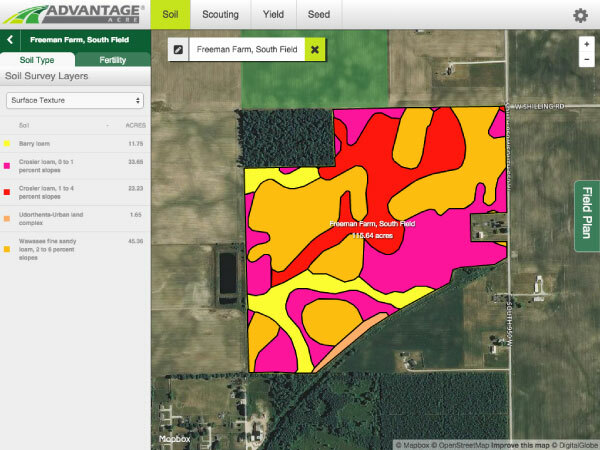 Utilize predictive mapping in your field with functional soil mapping to help improve efficiency and increase profit potential. While standard USDA soil maps generally classify and name soil types as broad units based on appearance, functional soil mapping is more technologically driven, using statistical models and data science to mimic the relationship between soil properties and field topography. 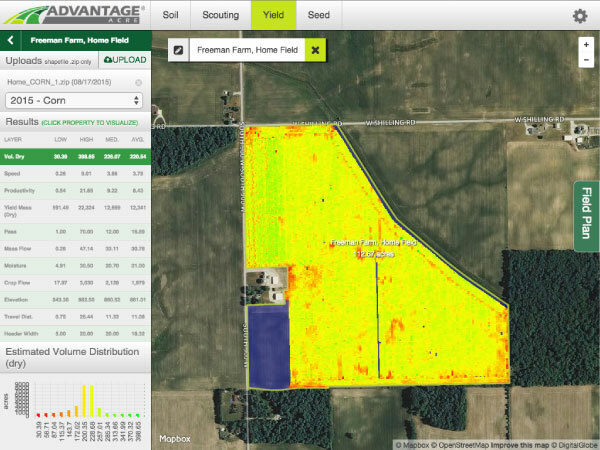 With an understanding of the connection between the two, field characteristics can map predictive patterns that help you to better understand where agronomic practices can be applied to achieve the most benefit. Standard maps view your field as a two-dimensional space. 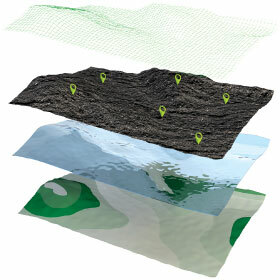 Functional soil mapping expands that view into three dimensions to more accurately assess your field's unique topography and identify its precision points. Predictions on how the soil changes between these points are made because some soils move easier than others and the degree of slope can impact movement. Get a clearer picture of future conditions with Weathertrends360 to make more proactive decisions on your farm without using previous years' data. What if you knew the weather a year in advance? Not just averages or probabilities, but precise forecasting for every single day of the growing season with 100% accuracy. How would it impact your seed selection, population and genetic placement, management practices and ultimately, your yield? While we're not there yet, Advantage Acre® takes a huge leap in that direction, offering Weathertrends360, a long-term, subscription-based weather forecasting system with a proven accuracy of 84%. Weathertrends360 is the latest in advanced weather forecasting services available through Advantage Acre. Straying from typical physics-based models, Weathertrends360's industry-leading meteorologists use precision mathematics to provide accurate long-term forecasts. Because of variables like cold and warm fronts, high and low pressure and topography, traditional physics-based forecasting techniques do not always provide the most accurate account of the weather. While other weather services use physics, Weathertrends360 uses math and science-based statistics, taking 150 years of massive data, 7 million lines of computer code and quintillion's of calculations daily. They sift through 24 climate cycles and various weather impacted scenarios, an inconceivable number of iterations. Armed with all of this data, Weathertrends360 factors in statistics by day and location, providing a clearer picture of long-term weather events. The foundation of precision agriculture is the collection of field-level agricultural data and the utilization of that information to make improved management decisions. 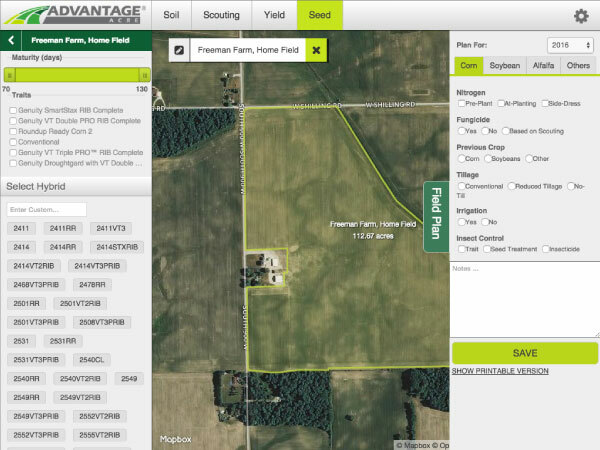 Advantage Acre's comprehensive suite of technologies turns knowledge into power with tools including: in-depth product information, innovative soil mapping technologies, advanced weather forecasting and variable rate planting and nitrogen recommendations. Free service offering basic soil and seed functionality, current weather forecasts and enhanced data management. Advanced features at a low annual cost. Key features include advanced soil identification and in-season crop management. Make the most out of your Plus subscription and purchase a variable rate planting recommendation. Scroll below to create an account or contact your local seed representative. Signing up takes less than a minute! Start by mapping your fields by using common land units, uploading existing files, or drawing boundaries. 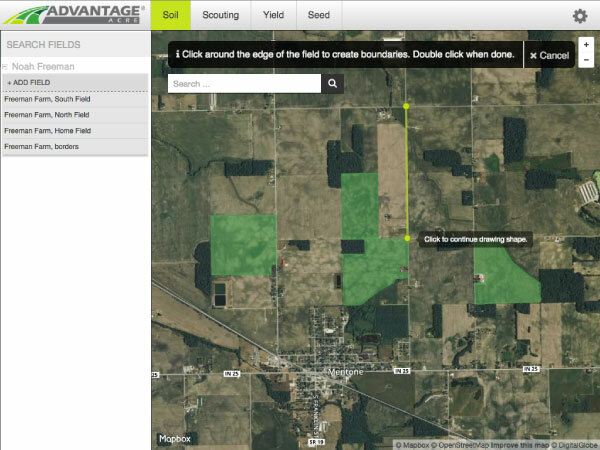 Upload yield data and soil-test data to begin building your historical references. 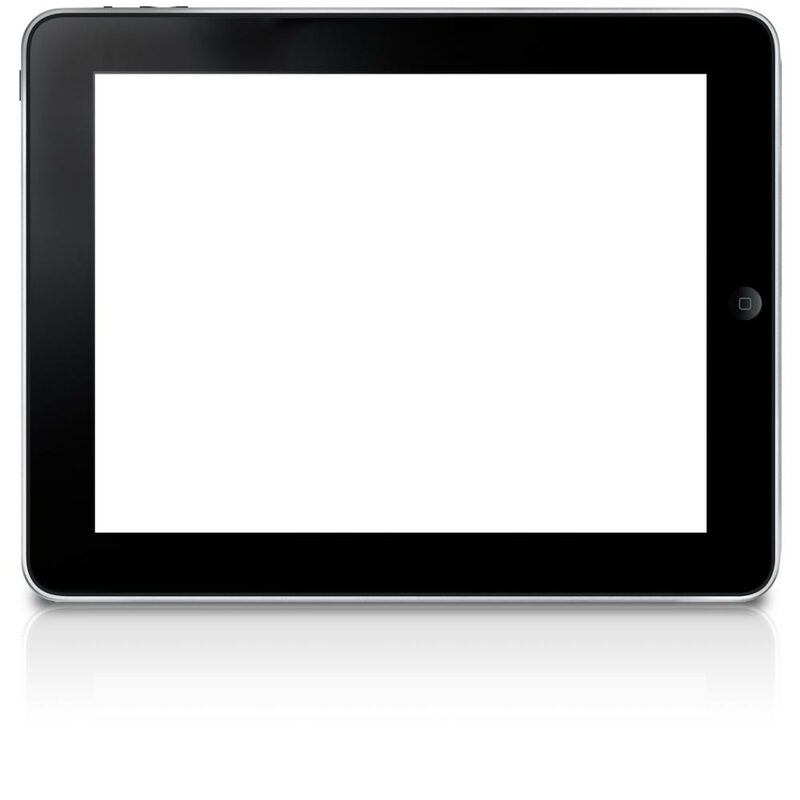 Use the seed planning tool with your sales representative to visualize seed placement. Sign up only takes a minute. The address you entered has no suggestion. Please double check your address before submitting. Address validation service is down. Please double check that your address is correct before submitting. © AgReliant Genetics, LLC. AgReliant Genetics® and Advantage Acre® are registered trademarks of AgReliant Genetics, LLC. All other trademarks and service marks mentioned herein are property of their respective owners. An email containing a link to activate your account has been sent to the mailbox of the email address you provided. 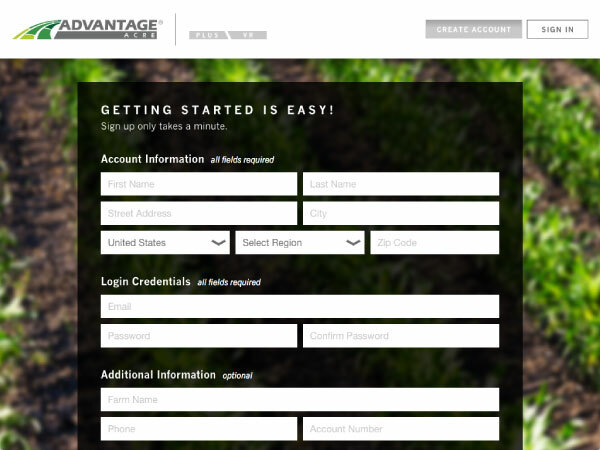 If you do not receive an email from us within 10 minutes, please check your spam folder or contact us at support@advantageacre.com.